New Delhi, January 16: Punjab police chief Suresh Arora has been given nine-month extension in service by the Centre in public interest, according to a Personnel Ministry order issued on Wednesday. The announcement on DGP Arora comes on a day when the Supreme Court rejected pleas made by five states, including Punjab, seeking modification of its earlier order on the appointment of heads of the state police. 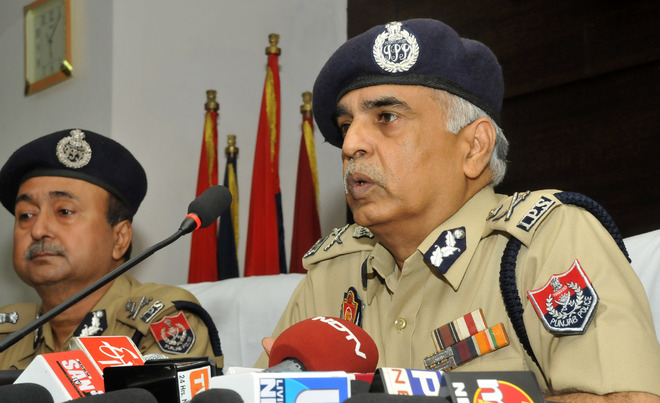 Arora, a 1982-batch IPS officer, was given three-month extension last year. Now, the Appointments Committee of the Cabinet has approved extension in service of Arora as the DGP for an overall period of 12 months beyond the date of his superannuation, which is September 30, 2018, in public interest, according to the Personnel Ministry order. Arora was in 2015 appointed the DGP by the then SAD-BJP government. The apex court had in July last year outlined the procedures for the appointment of regular DGPs in states. According to the Supreme Court verdict, states were required to send a list of senior officers to the Union Public Service Commission (UPSC) at least three months prior to the retirement of an incumbent. The commission would then prepare a panel and send it to the states for the appointment. The apex court Wednesday rejected pleas by Punjab, Haryana, Kerala, West Bengal and Bihar seeking modifications of the July 2018 order.